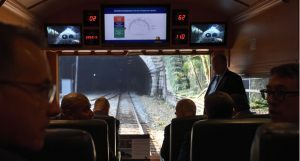 Claude Mongeau, president and chief executive officer of Canadian National, said the railway's reach, service, innovation, understanding of its customers' markets and commitment to delivering safely make it a true backbone of the economy. Mongeau, speaking to the Board of Trade of Metropolitan Montreal, said many are unaware of the significance of CN and railways to their daily lives. 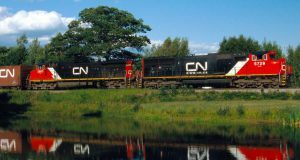 CN moves more than CA$250-billion (US$233-billion) worth of natural resources, industrial products and consumer goods annually, making the company “intimately and extensively involved in just about every sector of the economy,” Mongeau said. In the east, CN is extensively involved in moving industrial products, Mongeau said. For example, CN touches a substantial portion of the forest products and metals produced in Quebec, providing timely access to markets in the rest of Canada, the U.S. and Mexico. 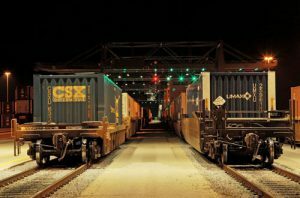 CN is also involved in the movement of containers destined for consumer markets. 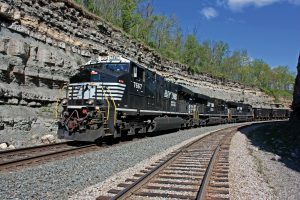 “This is another area where CN has introduced fundamental innovation, inviting all the key players in the supply chain to participate in framework collaboration agreements that open end-to-end visibility and focus on joint performance metrics that break down silos and smooth the flow of consumer goods,” he said. 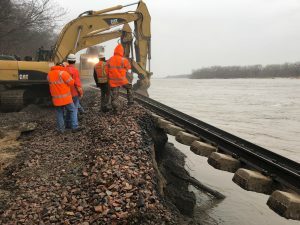 Mongeau noted that safety is of the utmost importance to CN, particularly with regard to the transportation of dangerous goods that are critical to the economy and represent approximately 10 percent of the railway’s annual carloadings. “As a backbone of the economy, we take our role very seriously when we are entrusted to move such dangerous goods. CN has an unwavering commitment to safety and we always aim to deliver responsibly. Our safety record is solid and it has been improving continuously for several years,” he said.